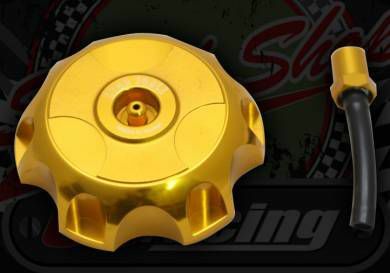 These fuel caps are beautifully made with a strong anodized gold finish. The gold is darked than the image shows. These are CNC cut with a well constructed full width internal seal. Heating the tubing will make it easier to fit.